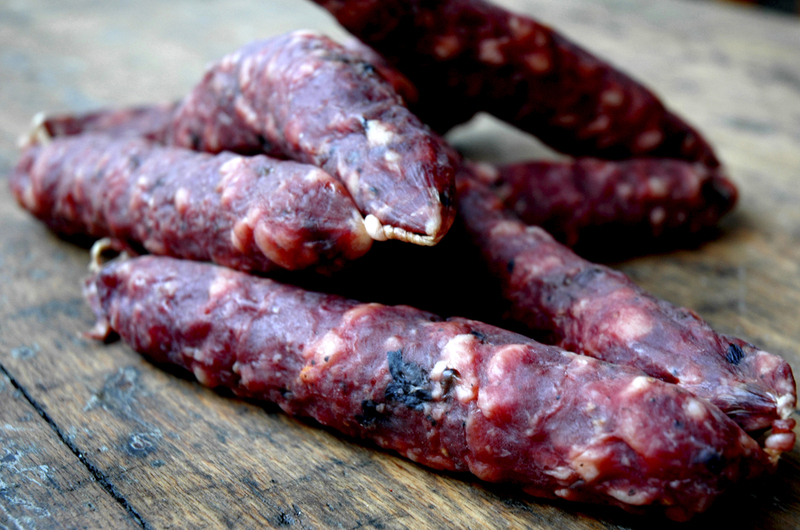 Based on the foundation of a Salchichon salami, this particular embutido is made with the wild forest mushrooms collected in the hills around Cataluña. These mushrooms are dried and then rehydrated with Fino Shery. Based on the foundation of a Salchichon salami, this particular embutido is made with the wild forest mushrooms collected in the hills around Cataluña. These mushrooms are dried and then rehydrated with Fino Shery. This forces the maturation to slowdown and create a long aromatic bouquet and a full flavoured pallet reminiscing of the forest of northern Spain.